Juice WRLD and Future are cooking up. 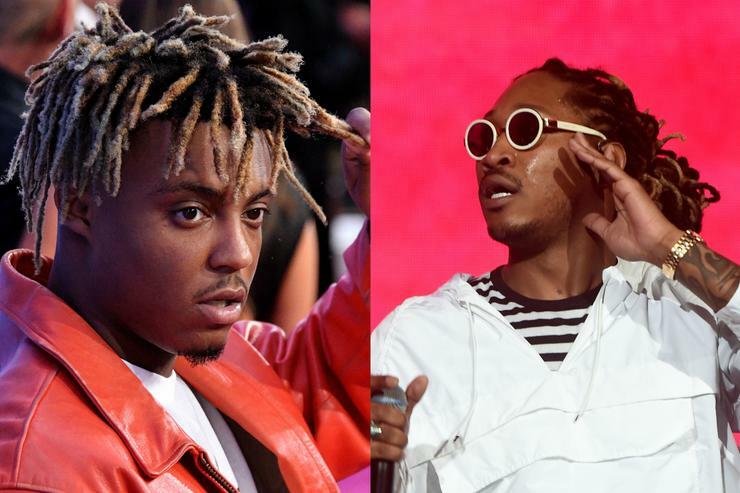 Back in July, Juice WRLD and Future first teased the beginnings of a collaboration when Juice uploaded a shot of the duo in the studio, warning: "They not ready fa what we got in store fa them...They don't know we aliens." Now, it looks like the pair is sticking their intergalactic motifs with the latest teaser of their collaboration having surfaced online as the two were spotted shooting a music video for the track in question. In the new clip, the two men emerge out of a vintage DeLorean in the middle of the desert as the cameraman notices that Future is visibly shaken up, noting that Juice's reckless driving might have gotten to the Atlanta emcee. Given the backdrop and metallic outfits that Future and Juice are rocking, that mention of aliens doesn't seem too far off. Future and Juice Wrld on the set of the music video for their new collaboration. 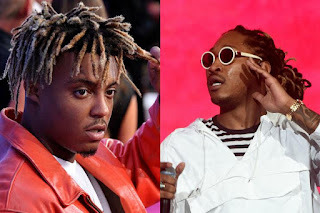 The track, only known as "Wrld On Drugs" at the moment will mark the first link up between Juice WRLD and Future and denotes yet another win for Juice WRLD, who has experienced a pretty fruitful year, especially with the arrival of his Goodbye & Good Riddance project. Sinc eits release, the outing has occupied the top 10 of the Billboard 200 album chart for several weeks while his "Lucid Dreams" breakout single currently sits in the No. 3 slot on the Billboard Hot 100.